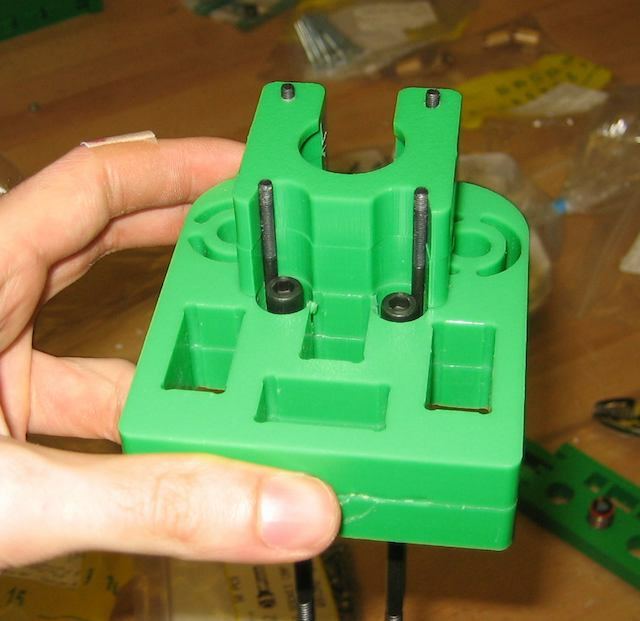 This page gives tips and tricks on assembling the MTM Snap's z stage. Four pieces make up the middle of the z stage. When put together, they look like the image below. The small flicker of red is one of the threaded rod holders. The motor is screwed onto the top of the z stage. 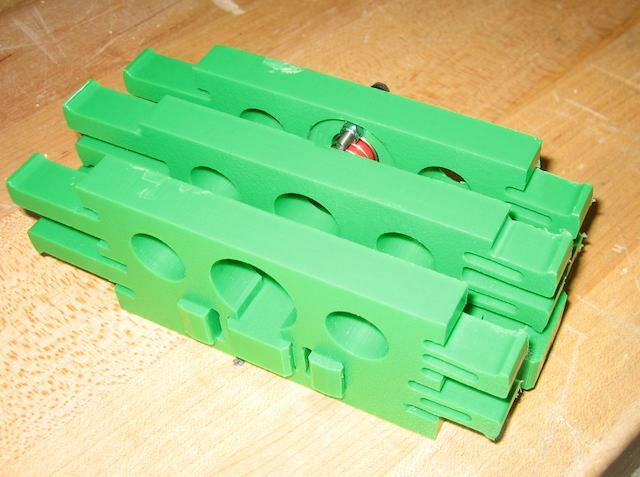 A flexible coupling links the motor to a 5.5" length of threaded rod. On the other side of the wall, there is a thrust bearing then a shaft collar. While tightening the shaft collar, pull the shaft away from the motor. When you release this load, it should press the collar against the thrust bearing, keeping the shaft straight. 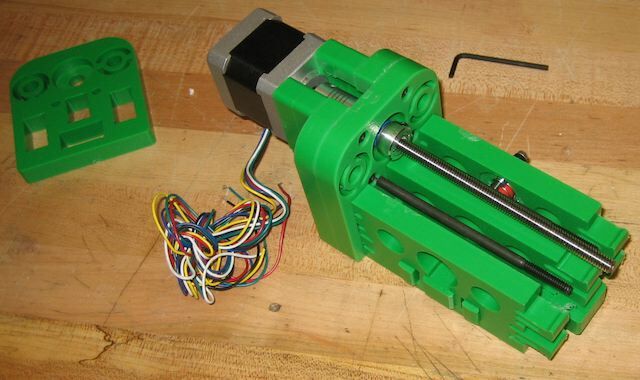 Finally, add the main rods and spindle stage. Hidden in this image is a second thrust bearing + shaft collar combination. 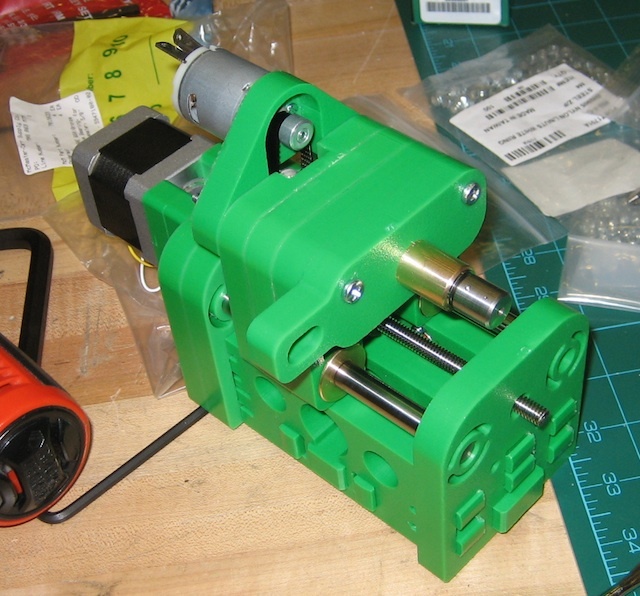 Preload by pushing the shaft in the direction of the motor while tightening the shaft collar - when you release the load, it should push through the thrust bearing into the ABS base.